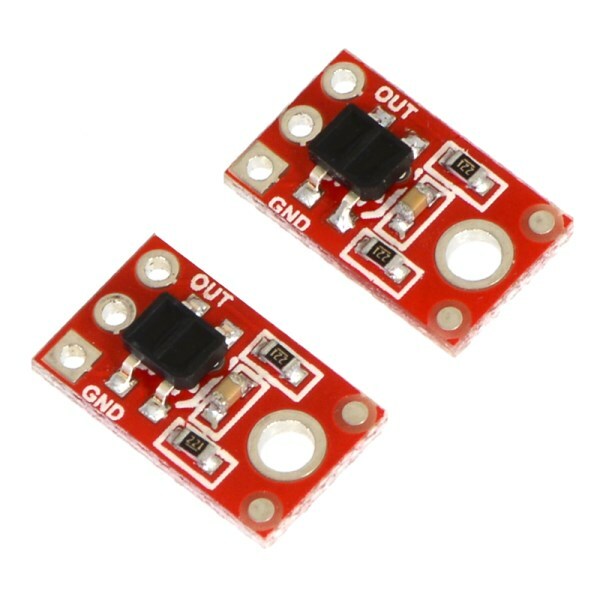 The QTR-1RC 1 Channel Digital IR Infrared Reflectance Sensor provides the ability to detect edges, lines and objects using a single digital I/O pin. 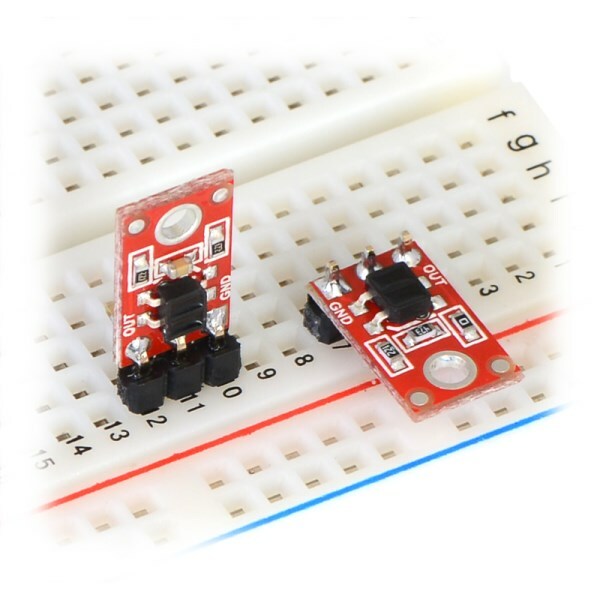 These tiny reflectance sensors use an LED to emit IR Infrared and a phototransistor it sense the reflection. They can be added to your robot to perform line following, detect table edges or to avoid bumping into reflective objects. The sensor is optimized for distances of 3-9mm. 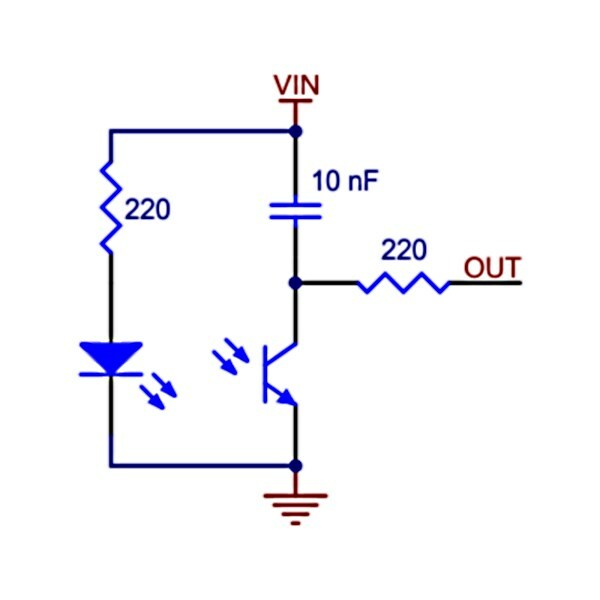 This reflectance sensor is designed specifically for use with a single digital pin. The way it works is to output a digital HIGH value on the OUT pin to "charge" the sensor for a least 10 microseconds, then read the digital sensor value from OUT pin. The amount of time it takes to read a HIGH value back determines the amount of reflection detected. The less time it takes, the greater the amount of reflection. 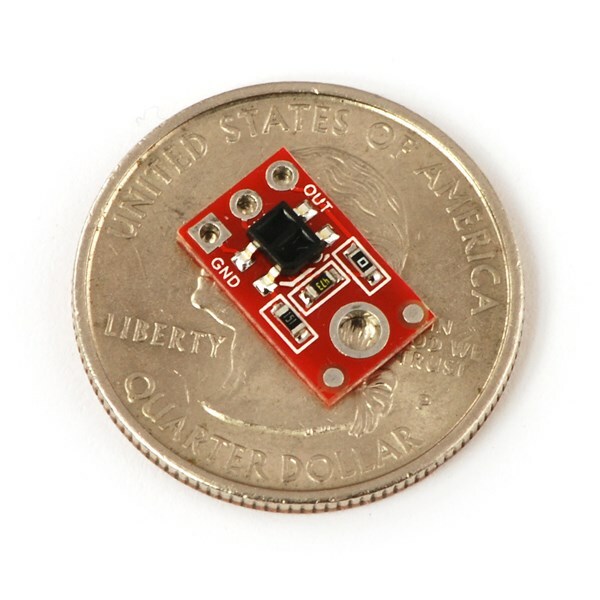 This sensor can be used for line following by a black line on a white surface. This is because the black like will reflect less light than the white surface. Similarly, it can detect the edge of a table because the table will reflect light whereas the edge will not. When used to detect lines or edges, the sensor should be mounted close to surface for best results. 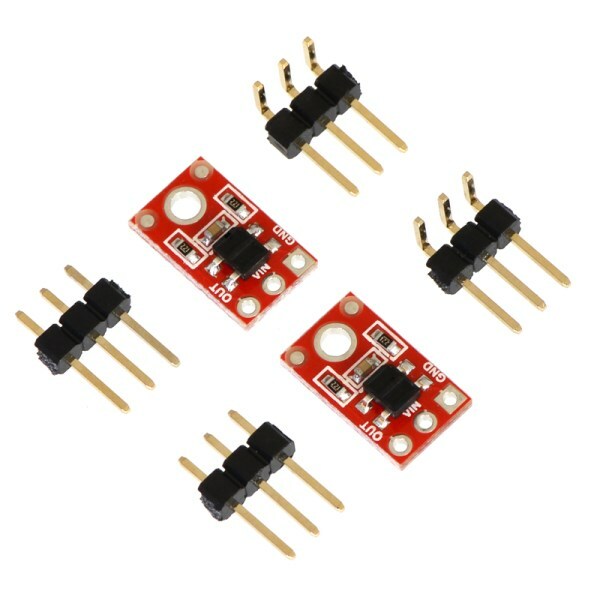 The package includes two QTR-1RC Digital IR Infrared Reflectance Sensors and two pairs of optional breadboard friendly male header pins.